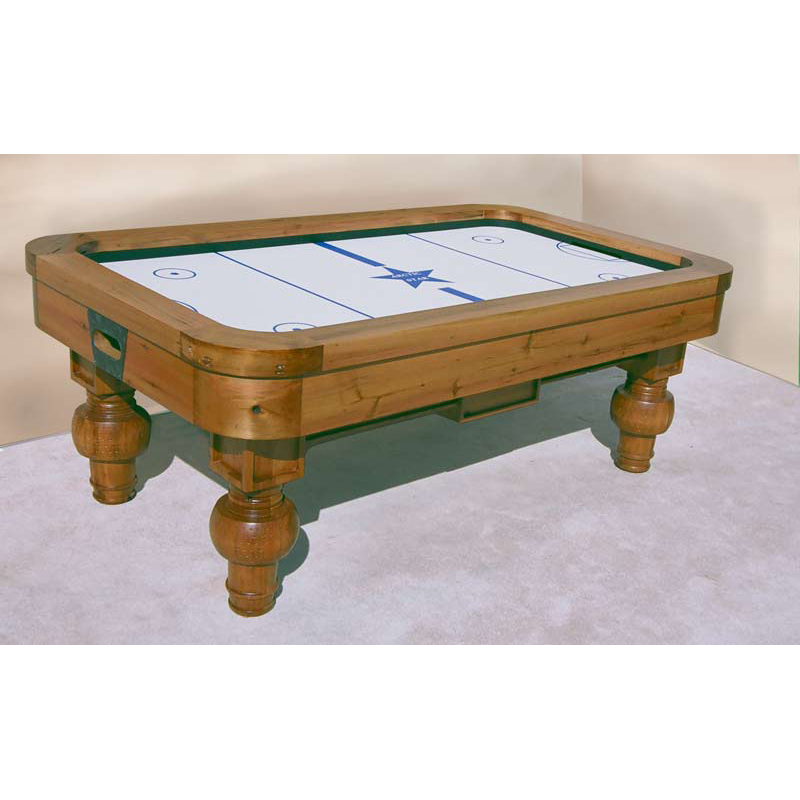 Air Hockey Table – As shown: The mortis and tenon construction of this air hockey table combines aristocratic looks with state of the art technology to produce a quality custom game table. The table base is constructed with solid cedar cypress . The massive legs on this luxury game table are hand turned and carved from 9-inch thick solid wood. All wood surfaces include a hand rubbed 10-process fine art finish. This designer game table features cutting edge Goal-Flex & trade; technology that allows for lighting fast, non-stop, continuous plat on this air hockey table. It includes a pearl blue, seven foot, super slick, scratch resistant playing surface and powerful blow motors for even air distribution. Special mar proof leveling feet have been used to ensure accurate leveling. All custom built game tables are shipped to your location, ready to be set up and leveled by a qualified professional. Your game room does not have to be unattractive or disposable. With our custom built, investment quality, game tables you can furnish your Game Room in high style, with any design or theme you design. Order your custom game room furniture from ArtFactory.com.